I did not post my typical spending report this past Monday for two reasons. First, life is wearing me down with the house drama. And two, I am rocking my Anticipated Spending (see this past week’s spending plan here) and No Spend Month so much there is nothing to talk about – go me! In fact, I’m not posting a typical Anticipated Spending today BECAUSE other than gas for my car…I have no plans to spend any money this week. Wow! Wish me luck. This week is the epitome of No Spend Month since there aren’t even any bills due. With money on my mind and not in my hand, I am starting to think about the holidays. If you will remember, I did not put any money for Christmas or any of the fall holidays in my Fall Budget. But really, do you think I could go a Christmas without spending any money, specifically on gifts? Have any BAD readers ever had a No Spend Christmas? I am very interested. I’ve had two thoughts on this. One I don’t know if I could get through Christmas without giving gifts. There is just something in me that demands that. And I love this idea as far as kid gifts. On the other hand, I’m really committed to my financial goal of getting out of debt. And not spending for Christmas would be a big boost towards that. I would love to know BAD reader thoughts. Volunteer to feed the hungry somewhere. Cook off or bake off. Hit me with your best ideas as I continue to work on a plan. I’m definitely leaning to a No Spend Christmas. Or maybe really limited spend Christmas. And we had a whole list of fun things to do. We used to make a paper chain with a link for each day. And we would put things on it — this day we make ornaments, this day we read this story together, this day we bake cookies, this day we ride around looking at lights.. It spread out the Christmas goodness, and it was all cheap things. Oh, this is bringing back some good memories. I’m going to try to do some of those things again, even though the kids are grown and it will only be the two of us! Soup kitchens are usually overrun with volunteers on Thanksgiving and Christmas. They need the most help the rest of the year. I second the suggestion to check thrift stores and online resell groups for gifts. 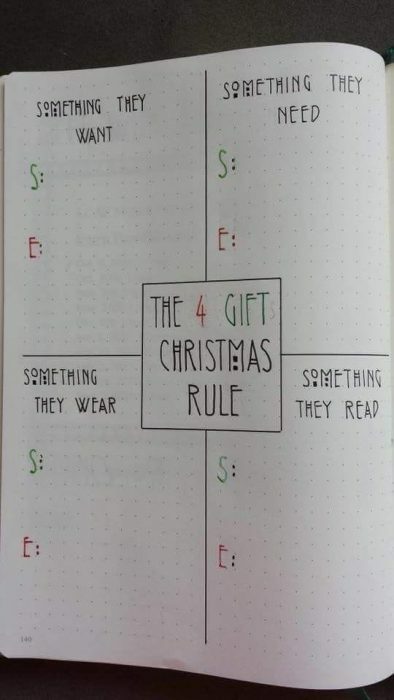 Also gift them things they really need. My son got socks and candy in his stocking last year. One of my friends did a holiday decoration photo scavenger hunt with her kids that sounded fun and might be a good fit for the ages of your kids. They went around their little downtown and neighborhood and had to take pictures of different holiday decorations . I think some things on the list included elves, snowflakes, silly decorations, food decorations, someone dressed as Santa, a Disney decoration, etc. She said she had fun making up the scavenger hunt and her kids really enjoyed going out and finding things. I have also really enjoyed doing cookie exchanges with friends for holidays but I don’t know how that would translate as well for everyone living in the same house. My favorite childhood Christmas memories are the traditions, not the gifts. I can’t name a single gift I received as a kid except my New Kids on the Block T-shirt haha. But I remember baking cookies as a family, decorating a gingerbread house, driving to look at the Christmas lights, decorating our tree, making ornaments, etc. I would focus your money there – and maybe one small gift for each child. The kids are old enough to use their own money to buy their siblings presents. In my family we do a Kris Kringle with a $50 limit. So each person gets one very thoughtfully chosen gift. And then we do a $20 maximum Evil Santa game where we steal each other’s gifts and it is the most fun thing we do. It’s a real bonding thing and we all end up in fits of laughter. Going home with piles of presents doesn’t make Christmas better – it’s about being together and sharing an experience. I love your Evil Santa game, that’s kind of why I thought of the White Elephant option for us…making memories. This is a great idea, Cynthia, I will definitely have to look into it!